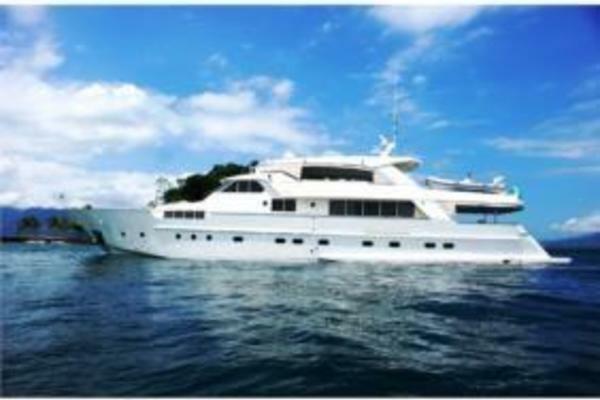 United Yacht Sales New Jersey would love to guide you through a personal showing of this 114' Benetti 34.95m 2002. 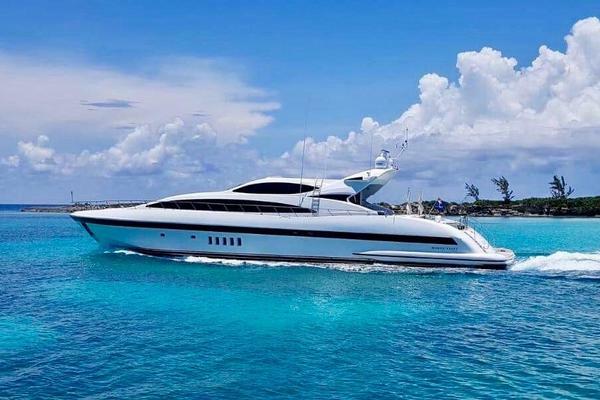 This yacht for sale is located in Viareggio Italy and priced at $3,800,000. For a showing please contact us by filling out the form on this page and we will get back to you shortly! 11 guests in 5 cabins High gloss cherry and maple have been used throughout Elaldrea’s elegant interior designed by François Zuretti. Benetti’s renowned joinery is much in evidence in the panelling of the main saloon and cabins. The polished cherry is adorned with inlays and marquetry. Several details have been customized such as the fixed awning above the large Jacuzzi on the sun deck gives this area day-long usability. In addition there is a bar and small dining area as well as a full width sunbed and individual sun loungers. One of the customised features is aft of the upper deck where a 42’ plasma screen television has been built into the bulkhead with a Bose surround sound system. This area, with a large circular dining table that seats ten guests, leads directly into an alternative saloon and bar. Elaldrea’s layout features five cabins. In addition to the Owner’s suite forward on the main deck, there are two doubles and two twins with an additional pullman berth in the starboard twin, all with marble en suite bathrooms. Up to eleven guests and seven crew can sleep aboard the yacht. The Jacuzzi in the Owner’s suite has been replaced by a large, walk-through shower with steam jets. All the bathrooms use marble. Crew accommodations are below deck and forward in four cabins, each with its own head and shower. Tow cabins have upper / lower berths, one cabin has a single berth and the last is a double-bedded Captain’s cabin.